Christmas Concert – Premiere of a new song cycle by Vladimír Godár – Christmas Songs for voice, string orchestra and organ – took place on December 17, 2006 in the Concert Hall of the Slovak Philharmonic in Bratislava. Marta Angela Vávrová sang accompanied by the Slovak Chamber Orchestra of Bohdan Warchal led by Ewald Danel. A piece favoured by string orchestras Concerto grosso per archi e cembalo was performed by Symfonietta Žilina under the baton of Oliver von Dohnányi in Paris on December 15, 2006. 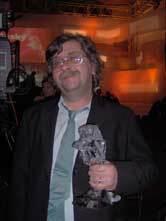 Vladimír Godár was awarded the national film prize “The Sun in a Net 2006” at the International Film Festival in Bratislava on December 8, 2006, for the best original film music to the film The City of Sun or Working Class Heroes. On November 10–19, 2006, the 23rd festival New Slovak Music took place in Bratislava. The selection of “the best” – not the latest, but the acme – of the Slovak music was presented at the festival called EPOCHÉ. 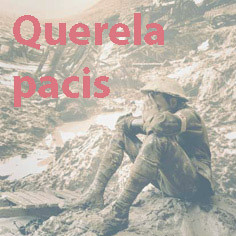 The undertaking offered a unique opportunity to listen to rarely performed most significant works written by important creators of the modern Slovak music history. As the intention was to present the Slovak music in the most impressive context, the festival programme prepared by Vladimír Godár reflected the time as well as spatial relations of the Slovak music. 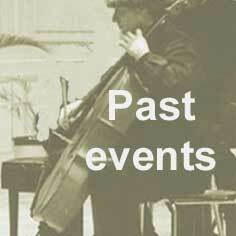 Slovak music, too, has its history, its ancestors and neighbours. Without them it would be much different, or it would not exist at all. The festival reacted to significant anniversaries, too – a bicentenary of Johann Caspar Mertz and centenaries of Alexander Moyzes and Ľudovít Rajter. Epoché was also a festival of the Slovak performing art – and thank to all participating performers for their precise work and excellent accomplishments. The aim was to engage all our orchestras, chamber orchestras and chamber ensembles, as well as the most important soloists. Perhaps the aim was not accomplished absolutely, but the organizers were successful to a great extent. 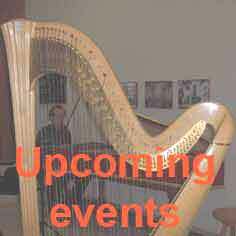 On 2nd November 2006 an orchestral piece Tombeau de Bartók by Vladimír Godár was performed in Bratislava in the frame of the subscription concerts’ series of the Slovak Philharmonic. The Slovak Philharmonic orchestra conducted by the Austrian conductor Christoph Campestrini played it for the first time – but played it magnificently! Violoncellist Jozef Lupták, harpist Adriana Antalová, Bratislava Chamber soloists with the concertmaster Ivana Pristašová played Godár’s Barkarola for violoncello, harp, 12 string instruments and cembalo in Bratislava Evangelic Church on October 30, 2006. 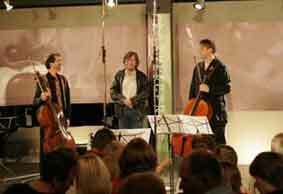 The listeners in Sankt Petersburg had an opportunity to listen to Talisman, nokturno for piano trio performed by Milan Paľa, Jozef Lupták and Jevgenij Iršai on October 2, 2006. The 6th Convergence festival took place in Bratislava on September 14th-17th, 2006. 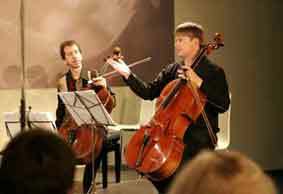 A Slovak cellist Jozef Lupták is the spiritual as well as physical father of the festival. The audience had an opportunity to listen to several outstanding concerts in a new concert centre Design Factory in Bottová St. Performed by Robert Cohen and Jozef Lupták a premiere of the new piece Variations on the Slovak Folk Song for two celli by Vladimír Godár resounded (15th Sep 2006), too. Two days later other Godár's works were played here, The Autumn Meditation for a string quartet and Déploration sur la mort de Witold Lutosławski, by the violinists Igor Karško and Jana Karšková, violist Simon Tandree, cellist Jozef Lupták and pianist Nora Skuta. In May 2006 a new CD was released in the publishing house Pavian Records titled MATER featuring the most recent compositions by Vlado Godár performed by Iva Bittová, Solamente naturali ensemble led by the first violinist Miloš Valent, Choir of Bratislava Conservatory prepared by a choirmaster Dušan Bill and conducted by Marek Štryncl. 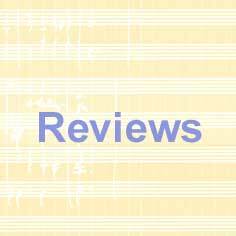 The CD reflects the concert by the Solamente naturali ensemble with Iva Bittová on the Bratislava Music Festival 2003, however, the recording itself is not from the concert; it was realized at the end of summer 2005 in the St. George Church in Svätý Jur. On April the 11th Vlado Godár organized his birthday concert in the Pálffy Palace on Zámocká St in Bratislava Concert for the Friends. Pieces by Vlado Godár were played by his friends Iva Bittová, Juraj Čižmarovič and Janko Slávik, the composer himself was playing the piano. The Pálffy Palace Hall was crowded with Godár’s friends. In March 2006 the composer published his new book as a gift for himself to his jubilee Rozhovory a úvahy (Interviews and Contemplations). The book was released by the AEPress publishing house. 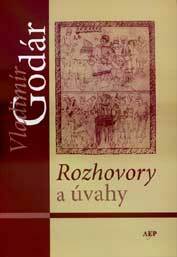 It covers the core of Vladimír Godár’s written texts (published and unpublished). 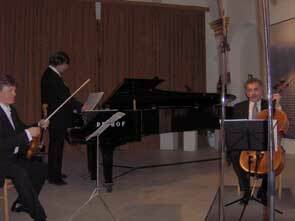 On March 21st, 2006 a concert of Moyzes Quartet took place in the Small Hall of the Slovak Philharmonic with Vladimír Godár as a guest sitting at the piano. 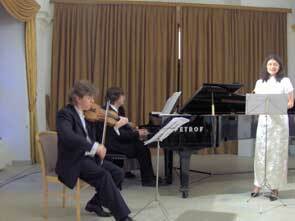 They performed the composer’s pieces Déploration sur la mort de Witold Lutosławski and Emmeleia for a string quartet. 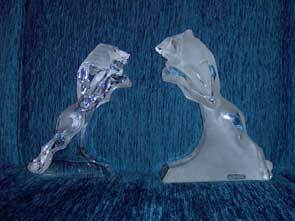 On February 25th, 2006 Vladimír Godár was awarded his second Czech Lion award for a music to the film Sun-City by a screenwriter and director Martin Šulík.